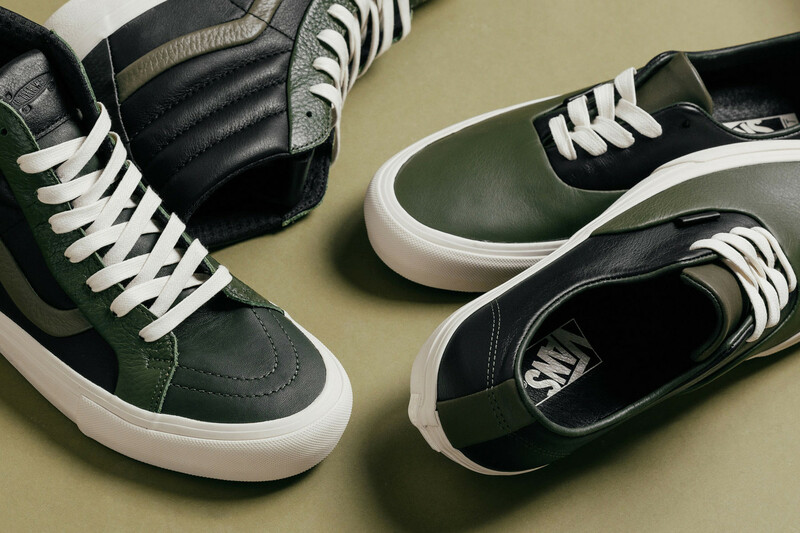 Vans Vault’s “Multi Brown” pack now has a partner in crime with its new “Multi Green” tandem. 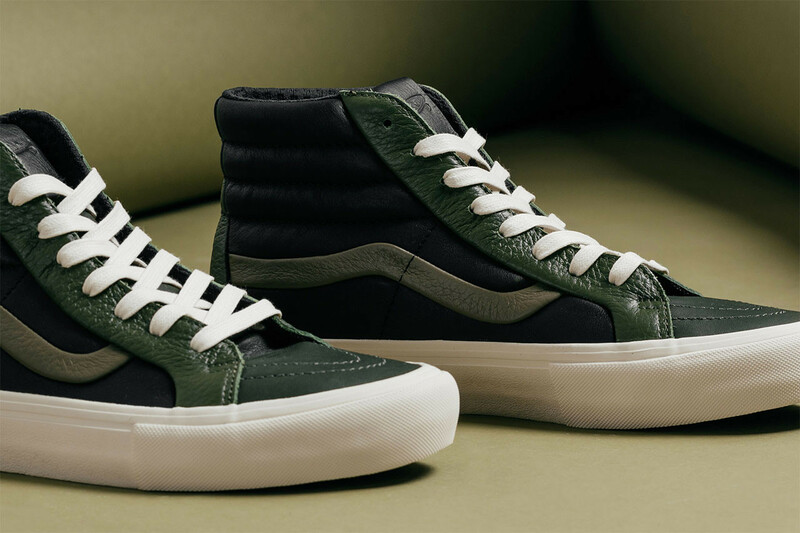 Full grain leather is incorporated onto the Authentic and Sk8-Hi models, with light and dark green added throughout, such as the racing stripe, eyestays and toeboxes. In addition, each outsole removes the expected stripe to match the sail laces, provide a high quality look and share a subtle contrast to the uppers. 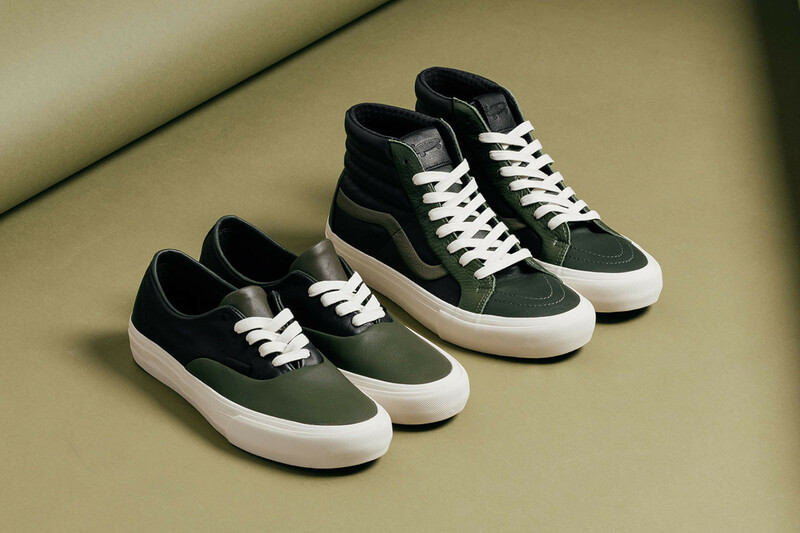 The Vans Vault “Multi Green” pack is currently available at select stockists such as Feature with the Authentic priced at $110 USD and the Sk8-Hi at $120 USD.